In our onsite events, participants worked on many activities at our various stations. 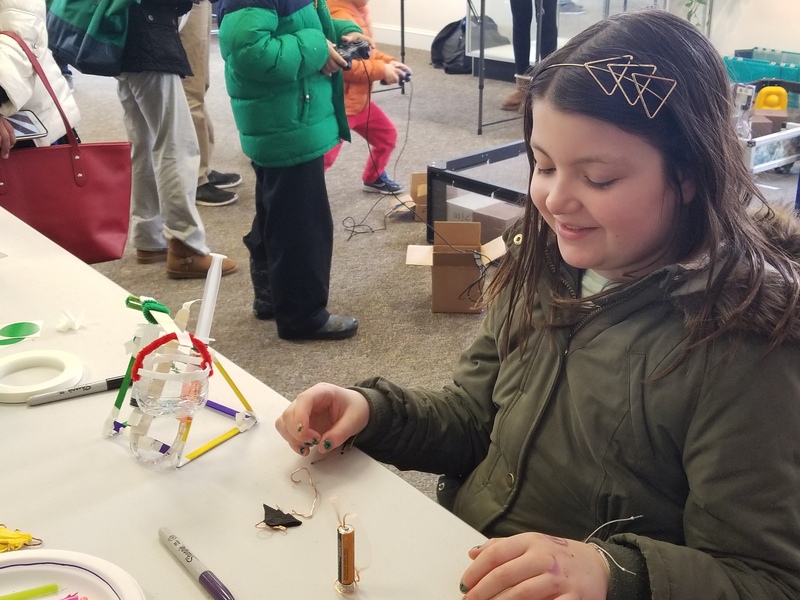 The most popular activities included working with EV3 and WeDo 2.0 Robotics projects, Arduino anemometers, and circuitry projects, including light up LED flowers to take with them! We also conducted a statewide Scratch programming contest, for elementary and middle school kids, which was jointly coordinated with NJ Makers Day. We received many wonderful programs from our next generation programmers. For onsite events, our goal was to introduce STEM concepts to kids that aren’t getting exposed to them in their regular classrooms. We wanted to focus on two areas, especially Robotics – by conducting interactive Robotics demo sessions — and “Making” – by conducting do-it-yourself small electronics projects and giving a chance to kids to build the projects themselves. For the online programming event, the goal was to popularize computer programming culture among elementary and middle school kids.